Going on a business trip can be incredibly satisfying, particularly if you’re heading to a country that has a strong international profile. Doing trade relations with companies located in other nations can foster a sense of unity and camaraderie, as well as ensuring that the future of your career is open to wonderful possibilities. Previously in this series, we featured several business travel guides that highlighted France, Iceland, Germany, and the United Kingdom. This time around, we’ll be showing you the best that Italy has to offer to the intrepid business traveler such as yourself, and how you can make the most out of your Italian adventures. As one of the most recognized European nations in the world, Italy holds several major distinctions for its numerous contributions to modern society as we see it today. Since ancient history, Italy has consistently been at the forefront in advancing the evolution of humanity in terms of politics, science, culture, religion, arts, literature, and entertainment. Geographically, the country is famous for its iconic boot shape that prominently sticks out well out into the Mediterreanean Sea. As such, the nation has strong maritime activities due to its proximity to multiple countries in Southern Europe and Northern Africa. Its prime location means that the climate of Italy is ideal for temperate seasons, which bodes well for the country’s thriving agricultural industry. 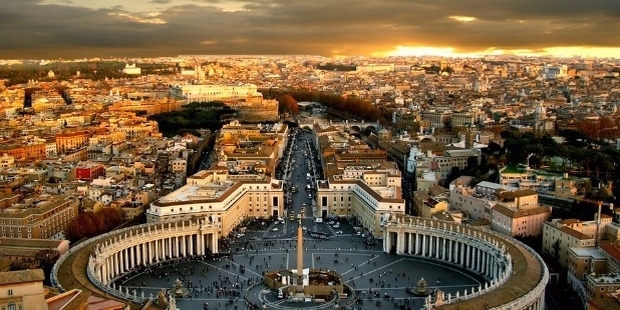 From a cultural standpoint, Italy reigns supreme as one of the most significant cradles of human civilization. The country itself ultimately emerged as the dominant power in the European continent, conquering much of the ancient world and becoming the leading cultural, political, and religious centre of Western civilisation. The legacy of the Roman Empire is widespread and can be observed in the global distribution of civilian law, republican governments, Christianity, and the Latin script. The historical period known as the Renaissance also began in Italy and spread to the rest of Europe, ushering a renewed interest in humanism, science, exploration, and art. Italian culture flourished at this time, producing famous talents such as Leonardo da Vinci, Galileo Galilei, Michelangelo Buonarotti, and Niccolo Machiavelli. Italian explorers such as Marco Polo, Christopher Columbus, Amerigo Vespucci, and Giovanni da Verrazzano discovered new routes to the Far East and the New World, helping to usher in the European Age of Discovery. Nowadays, Italy boasts the third largest economy in the Eurozone and is currently ranked as the eighth largest economy in the world. The country has a very high level of human development and is ranked sixth in the world for life expectancy. The nation plays a prominent role in regional and global economic, military, cultural, and diplomatic affairs, where the Italian goverment actively participates in many international summits and socio-political gatherings held frequently across the world. The country is well known for its creative and innovative business sectors, chief among them a large and competitive agricultural industry where Italy is recognized as the world's largest wine producer. Italy is also known for its influential and high-quality output when it comes to cuisine, automotive transportation, and fashion design. Italy is a founding and leading member of the European Union (EU), as well as being a member of multiple international institutions which includes the following: the United Nations (UN), the North Atlantic Treaty Organization (NATO), the Organisation for Economic Co-operation and Development (OECD), the Organization for Security and Co-operation in Europe (OSCE), the World Trade Organization (WTO), the Union for the Mediterranean, the Council of Europe, Uniting for Consensus, and many more. As a reflection of its indelible cultural wealth, Italy is home to no less than fifty-one UNESCO World Heritage Sites—the most in the world—and enjoys a flourishing tourism industry considering that it is the fifth most visited country in the world. So now that you’ve had a comprehensive primer on this fantastic European powerhouse, here are some great ideas you should consider to make your Italian business trip truly memorable. It may be a typical cliché when it comes to Italian tourism, but there's really nothing like cruising along the canals of gorgeous Venice while sitting in a relaxed pose within the graceful confines of a gondola. Finding a gondolier is easy when you’re in the historic and partially submerged city of Venice as they commonly gather along the Grand Canal by the Doge's Palace and at Rialto Bridge. Gondoliers are also visually distinctive by their striped shirts and straw hats on bridges and canals as you explore the city. Because gondoliers are not just gondola drivers but also serve as tour guides, you must converse a bit to see if you're comfortable with his or her style and command of the English language. Fare prices are set, so be sure you're getting the standard rate, and agree on a route and length of ride before you climb board. Always remember to pay at the end of the canal cruise, with a tip included on top of the fixed charge if you're satisfied with the tour. Canal route options and cruise schedules depend largely on your personal preferences and on where your ride begins. After dark, lights from the Grand Canal palaces and canal-side restaurants reflect and glimmer on the water, but the Grand Canal is also busy with other boats, so it's a much less intimate experience. The smaller canals of Cannaregio and other areas are quieter, and a circular route will probably include parts of the Grand Canal. But at night, these are less picturesque so they are a good choice for daytime rides. 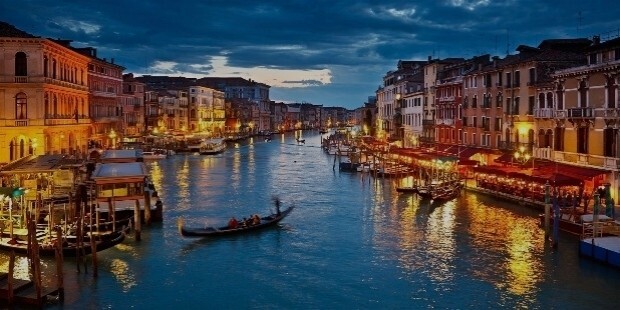 If you’re aiming to make your Venetian gondola cruise experience a little more romantic, then it’s ideal for you to have a ride during sunset hours as the city beautifully comes alive during its transition from day to night. And with multiple dining options scattered throughout the city, particularly near most canal routes, it’s easier for you to grab a bite to eat after a few hours of leisurely wandering through the picturesque canals of Venice. 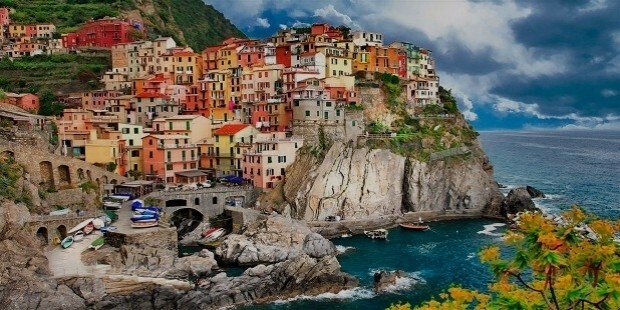 If you’re hankering for that bucolic provincial flavor of Italy defined by spectacular panoramic 360-degree views, charming country villages, breathtaking natural landscapes, and immersive local experiences, then you can’t go wrong with visiting the five towns of Italy's Cinque Terre and the cliff path that connects them. The twelve-kilometer Sentiero Azzurro stretches from Monterosso to Riomaggiore, but it's conveniently broken into segments that you can easily hike from one town to the next, returning or moving on by train. Bear in mind that you must be fully prepared and to always be mindful of your safety when attempting to hike the entire route since many parts of the trail are set into cliffs hanging high above the coastal waters, and with some of these trails bearing no guard railings. To experience the Cinque Terre without boots or vertigo, you must select the shortest and most popular segment: the two-kilometer Via Dell'Amore, between Riomaggiore and Manarola. Also fairly easy, and less crowded, is the section from Manarola to Corniglia; this is relatively the same distance but takes a little longer to hike. Twice as long, though, is the trail between Corniglia and Vernazza which reaches the route's highest point after a stiff climb on uneven stone steps, but also includes walks through lush olive groves and some really amazing views. Longer, rough, and the most vertigo-inspiring is the often narrow trail between Vernazza and Monterosso. Dare to tread this route and you'll be handsomely rewarded with the best views of all, including an unparalleled panorama of all five towns, and you'll be sharing the trail with only a hardy few. Spring and fall are the best times to avoid the tourist crowds as well as the blazing summer sun given that there's very little shade along the trails. 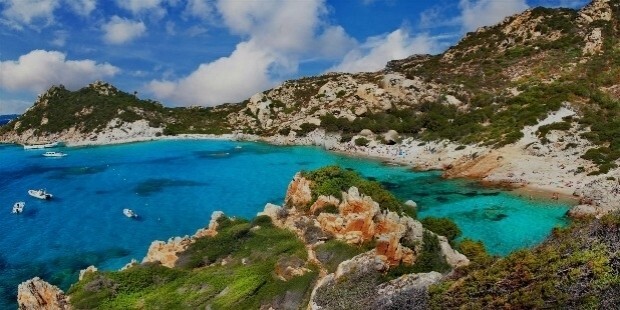 If you intend to visit during the summer season, try to get an early morning start so you won’t have to suffer through the scorching Italian heat. Make sure to stop in a park office at rail stations for maps, updates on trail conditions, and to buy a mandatory trail pass. You can never accuse the Italians of phoning it in when it comes to food because they're really incredible at so many wonderful things pertaining to human culture, and the art of gastronomy is certainly one of them. So it's important for you to make the most out of your Italian business trip in the future by making sure you'll learn a few tricks up your sleeve when it comes to their mouthwatering cuisine. Anyone who just loves to cook—or perhaps want to discover the joys of cooking Italian food in general—will relish the opportunity to learn how to make Italy's most famous culinary specialty: creating perfect pasta. Pasta is considered one of the country’s most sacred food items, so it’s no surprise that cooking classes specifically devoted to making and cooking pasta are offered throughout Italy, though you’ll certainly get the most culinary mileage if you head on over to Florence. 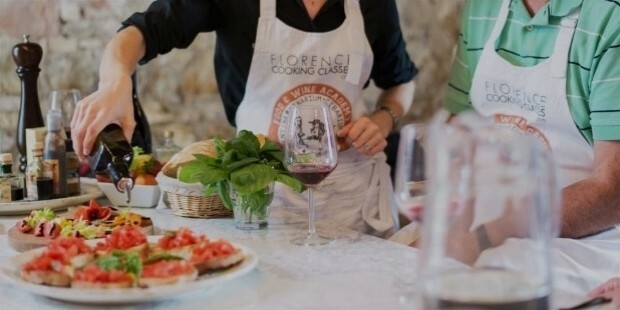 The historic city of Florence has a number of these pasta cooking classes, which are often paired with an in-depth tour of local food markets and shops in the company of a seasoned cooking veteran. Some classes are taught in a local family home, where groups of no more than six eager students cook a full meal and enjoy it together with the generous hosts. Others are courses that teach a broad range of classic Florentine dishes. Pasta, obviously, is at the heart of all these, and you will return home confident in the knowledge that you’ve mastered the hallowed secrets of perfect pasta, by knowing exactly how to make it and how to cook it. There are, of course, many variations on the theme which you can happily choose from. 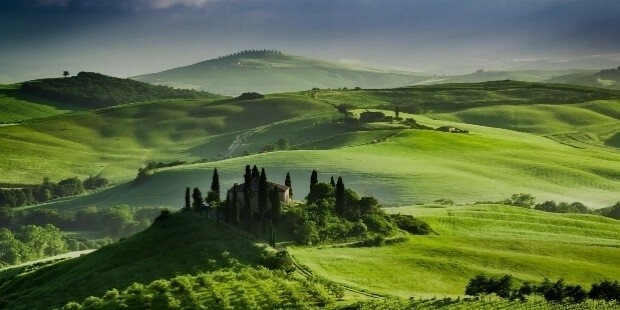 One offers transportation from Florence to a traditional Tuscan farm in the hills of Chianti for a customized cooking experience that can include gluten-free, organic, or vegetarian Italian cooking. For an easy introduction, you can try a three-hour cooking course on homemade Italian pasta, which is located right in Florence. All these aforementioned courses include hands-on experience with an accomplished chef or cook. Apart from pasta, there are also alternative cooking classes that are designed specifically for other popular Italian food favorites such as pizza and gelato, in case you prefer those two more than pasta. There’s absolutely no question that the contemporary music scene of Italy is filled with progressive and modern acts that could easily compete with others on a global stage. But if you really want to experience a higher form of Italian music, then you should head on over to the very city where Shakespeare set his most famous play involving two star-crossed young lovers. Furthermore, you really don't need to be an opera lover—or even like music in general—to be swiftly enthralled by the sheer spectacle of a full-scale production in Verona's third-century Roman arena. But for those who do love the genre of opera, it's a truly magical thrill of a lifetime, right up there with opening night at La Scala. The arena itself is one of the largest and best preserved Roman amphitheaters, with all its vaulting and full forty-four rows of audience seating blissfully intact to accommodate no less than twenty-two thousand opera-goers. 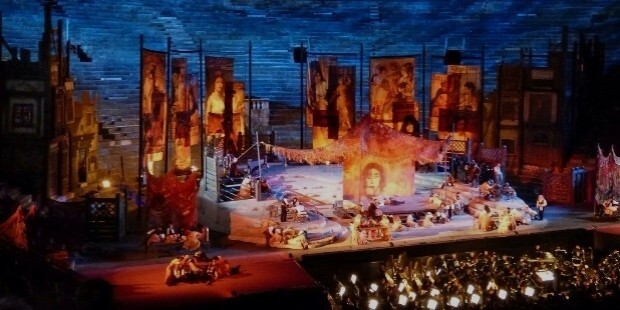 The Verona Opera Festival, held every year in July and August, is one of Europe's most important summer music events, ranked with equal importance alongside the Salzburg and Bayreuth festivals. It is here where you’ll get to witness the spectacular arena containing massive and elaborately designed stage sets that are able to recreate entire street scenes and multi-storied buildings at the same time. Plus, you’ll get to hear some of the world's leading singers and musicians performing impressive operatic pieces. Seeing all of this underneath a starlit sky at night is nothing short of pure magic. The real blockbuster to see here is Aida, when Radamès has been known to float down a recreated Nile in a boat, and the Triumphal March takes up the entire stage with scenes that in past productions have included live elephants, horses, and camels. Each new production of this biennial favorite brings new surprises. For all its vastness, the arena is surprisingly intimate in its ability to bring the audience into the musical and theatrical moment. Italians are known for their incredible sense of style, just as much as their French and British counterparts, so you really shouldn’t leave Italy without making a mandatory pilgrimage to the fashion capital of Milan. The birthplace and epicenter of modern Italian fashion has achieved the power and privilege of being one of the four major fashion capitals of the world that also hosts the biannual Fashion Weeks alongside New York in the United States, London in England, and Paris in France. Walking through the streets of this stylish city will surely make you feel like you’re living in the pages of a fashion magazine come to life, so this is the perfect opportunity for you to upgrade your wardrobe with your hard-earned money. 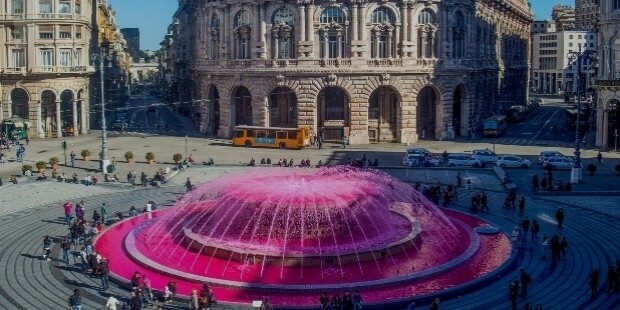 Furthermore, Milan is the home of several major Italian luxury fashion brands that includes the likes of Prada, Versace, Gucci, and Dolce & Gabbana among many others. There are many options for you to choose from when it comes to Milanese shopping, and the choices featured below are just a sample of what to expect when you visit Milan. Galleria Vittorio Emanuele – Named after Victor Emmanuel II, the first king of the former Kingdom of Italy, this Art Nouveau building was built between 1865 and 1877 which makes it one of the oldest surviving shopping centers in the world. There are not that many places where you can shop high-end brands in a truly opulent and royal atmosphere like this. La Rinascente – This is an eight-storey department store located just next to Galleria Vittorio Emanuele and across from the Duomo. This popular store has contemporary interiors and an amazing selection of designer brands. And if you're not into fashion, then there's a whole floor fully dedicated to interiors and product design where you can find not only your next coffee table but inspiration for redecorating your whole apartment. 10 Corso Como – This place is both the name of the street and the design complex that is situated there. 10 Corso Como was masterminded by the popular fashion publisher and gallerist Carla Sozzani, who is the sister to the late and great former editor-in-chief Franca Sozzani of Vogue Italia. The lavish complex combines a gallery, store, restaurant, and a bookshop all in one where they offer a wide variety of carefully curated products related to art, design, music, and of course, fashion! Quadrilatero D'Oro – Translated into English as "The Golden Square", this place is to Milan what Fifth Avenue is to New York or the Champs-Élysées is to Paris, given that this is the most expensive and fashionable area for shopping in Milan since every high-end fashion label has outlet stores placed there to attract wealthy customers. 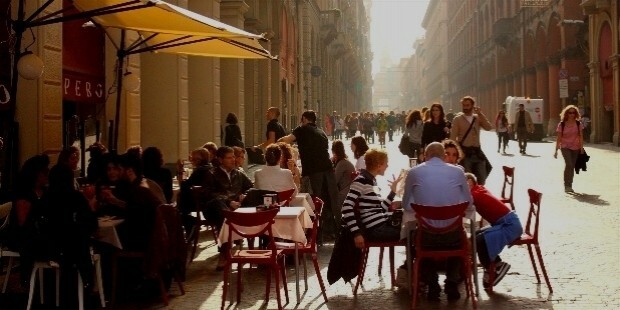 Porta Ticinese – If bargain shopping is your thing, then you can't go wrong with taking a field trip to Porta Ticinese, where you'll certainly get more bang for your business trip bucks without skimping on that famous Italian style. Unlike Milan's more upscale shopping districts, this area caters to a younger and hip clientele where it features cool yet affordable alternative options for retail therapy. 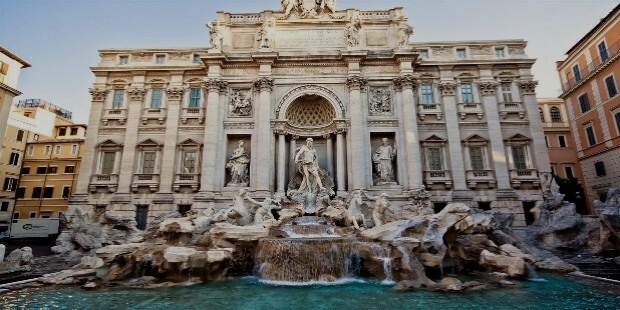 The capital city of Italy is famous for so many things, chief among them its illustrious history that has helped shape the very direction of human culture and civilization. With all the ancient and mostly intact sites to visit in Rome, it's easy just to skim the surface and leave the city without any real sense of life in this sacred Italian metropolis. An insider tour of one of the landmarks can take you deeper into the history and put the other sites into perspective. 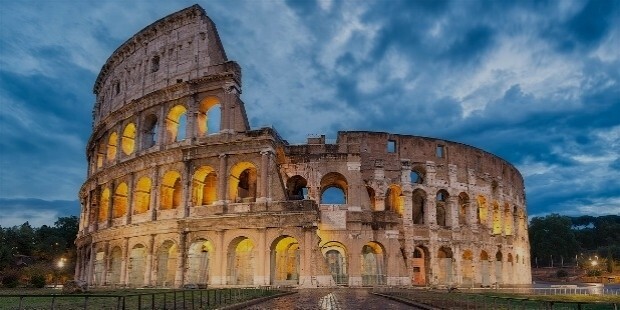 The best place to start your history tour, obviously, is the Colosseum, where newly opened underground areas are accessible by visitors who book in advance and to those on in-depth tours. The latter gives the best introduction to what happened here, as knowledgeable docents patiently explain the labyrinthine pattern of tunnels, passages, and cells deep under the arena floor, where the spectacles delighted Roman audiences of centuries past. You'll see the holding areas where the fierecest of gladiators and a coterie of wild animals waited before encounters above that would rarely end well for either. These areas—known as the hypogeum—was where animals such as lions, leopards, bears, and elephants were used in gladiatorial battle. The hypogeum contained cages for the animals before they were lifted on slave-propelled pulleys to the floor of the arena where they would be released to fight the human gladiators. Insider tours also include the arena floor for a gladiator view, as well as a spectator view from the upper tiers. More in-depth tours go on to explore the Forum and Palatine Hill for a broad view of ancient Rome. To get really immersed in ancient Rome, you should definitely sign on for a two-hour gladiator lesson, where historic reenactors from the Historic Group of Rome will teach you the art of wielding authentic weapons used by real gladiators in ancient Rome. You'll get the wonderful opportunity to dress in sturdily designed replicas of the traditional tunic, belt, and leather gloves as you learn the basics of sword fighting and other gladiatorial fighting styles. This is an interactive history lesson that you surely don’t want to miss!